Capital Building Services Group's previous time and attendance system introduced a series of challenges, which began to snowball as the company grew. Time clocks with unreliable cell reception forced employees to resort to manual tracking methods. This turned managing employee time and attendance into an inefficient, risky and costly operation. 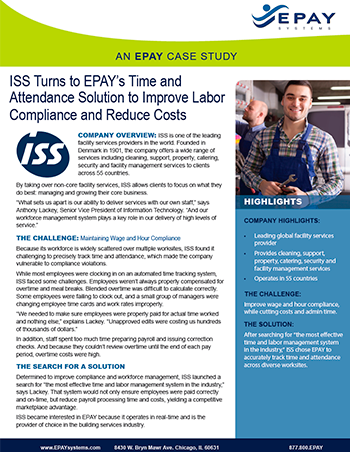 In an effort to stop manual processes and keep up with expansion, Capital Building Services Group looked to EPAY Systems' uniquely flexible time and attendance system.